To me, there is something very “homey” about a big bowl of steaming soup. I don’t mean the stuff you scrape out of tin can and then pour some water into before microwaving. I’m talking about the “simmer on the stove for hours” stuff. Where you take a little of this and a little of that and create something that is more than the sum of its parts. Soups elicit a cheer around here. We have two favorites that tie for first place in our family- Chicken and Dumplings and White Chicken Chili. Even thinking about them makes me hungry. There are lots of good reasons why you should consider adding a bowl of something hot and homemade to your menus. To begin, with, they are usually quite nutritious. Soups are some of the most economical meals to make, too. They can really stretch a dollar without making it obvious. Don’t have much meat? Don’t need much. Carrots on sale? Great. Can’t think of one more creative thing to do with that chicken staring back at you from the freezer? I got you covered. Start out by perusing online recipe sites for soup recipes that call to you. See what your local bookstore has in stock too. Get some inspiration. Or stop by your farmer’s market and let the seasonal produce guide you in what you make. 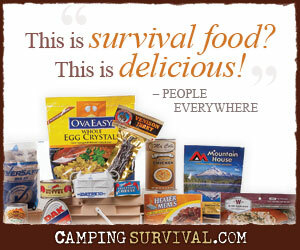 If you are rotating food stocks, soups and stews are fantastic ways to use them, especially freeze-dried foods. You will be combining everything with water anyway, so they are a natural fit. Back to that idea of stretching a meal. Soups are very forgiving on the pocketbook, but they also allow you to “set one more place” without too much trouble. Just throw in a handful of instant barley or parboiled rice or noodles a half hour before you sit down, add another sprinkle of your seasonings and problem solved. I usually begin my soups with a fresh chicken that was no longer productive in the henhouse or a rooster which was not needed (or annoying). I rinse the skinless bird well and then simmer it on the stove for a couple of hours. This is important. It at all possible, begin your soups with meat and bones. The marrow of bones is where a lot of minerals are stored. When you slow cook them, you release a lot of that into the “stock.” Those nutrients are now available to you. By the way, try not to lose that beautiful golden liquid on top. It contains many fat-soluble vitamins. After the meat begins to fall off the bones, strain it all out of the stock and allow to cool enough to handle it without being burned. Return the stock to the stove in a big pot. Carefully separate meat from bones and add it back to the stock. If the meat pieces are too large or not very tender (as is common with older birds), cut it into small pieces first. I usually create 3 piles as I work- meat, bones, and scraps for animals. The last one includes the cartilage and other un-pretty parts humans don’t appreciate but dogs and cats do. Chickens have some surprisingly small bones so be sure to carefully feel each piece of meat before adding it to the pot. Do not give poultry bones to animals since they are prone to splintering, especially after cooking. Once you have returned the meat to the stock, chop your vegetables (or add deyhydrated/freeze-dried ones). Carrots, potatoes, and celery are easily available choices, but don’t be afraid to try other root or unusual vegetables. Onions and garlic can be added at this point also, but hold off on most other spices until close to the end of the cooking time so they don’t fade. If you have soaked beans, you should put them in now. Turn the heat to “simmer” and cover, stirring occasionally as it cooks. Let it cook for several hours at least. (I often put the soup on right after lunch. At this point, I go back to the mountains of laundry or help someone with their math or collect eggs…). About 30 minutes before dinnertime, come back and give the soup its the finishing touches. Toss in spices (maybe parsley, green chilies, or tarragon- the choices are endless), sea salt and pepper, and any last minute stretchers you may want to add (lentils, instant rice, or instant barley). If we are having dumplings, I add them at this time. The flour that comes off the dough helps to thicken up the broth. As an alternate, you could shake a little corn starch in a jar with some water and add that. Stir well and cover again. While the soup finishes, make a salad or heat some bread, maybe even make grilled cheese sandwiches. Stir again and then ladle your wonderful creation into bowls. Put salt and pepper shakers and maybe even hot sauce on the table for each person to tweak the soup as their taste dictates. Sit down together as a family, thank God for His goodness, and feel the nourishment seep in. There is good reason why real chicken soup is considered a healer. I got hungry just reading this. Now I’ve gotta go make some soup in my slow cooker!